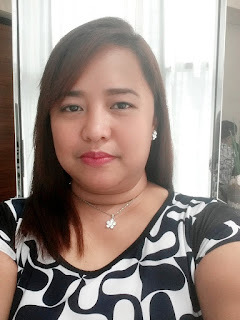 When my husband underwent an extracorporeal shock wave lithrotipsy last March 31, I realized that it's time to make a drastic change in the diet of the whole family. I have always focused on my own diabetic diet which I have gotten used to. I usually prepared food that is good for me thinking that it should also apply to my family's health. I was the only person in the household who needed a special diet, that was before my husband's kidney stone event. Now, I also need to adjust our diet so he can avoid having kidney stones again. Although my husband's doctor did not prescribed a specific diet for him, I thought of avoiding high oxalate foods in our diet. As I did my research, I discovered that oxalate is linked with the formation of stones in the kidneys. High oxalate foods include spinach, meat, beans, green pepper, chocolate, tea, peanuts, softdrinks, wheat bran, and salt. Along with restricting high oxalate foods in our diet, I also became aware of the need to increase our fluid intake especially during this summer season. We totally banned soda during the start of this year. I started to avoid soda products after I received my medical exam results that showed I was having a proteinuria problem. Instead of soda, we have more fruit juices now (not the sweetened ones). We also started to shy away from mineral water and have distilled water instead. I read that the body's supply of calcium should only come from foods like dairy products and not supplements. Excess calcium in the body goes to the kidneys and may form into stones. I am still in the process of making our menu. So far, it has been trial and error as I have read conflicting researches on what is allowed and what is not.